Moll is 27, stifled by the small island community around her and too beholden to her family to break away. When she meets Pascal, she begins to feel alive for the first time, falling madly in love. But is Pascal responsible for the brutal murders surrounding her town? And what can he unleash in Moll? 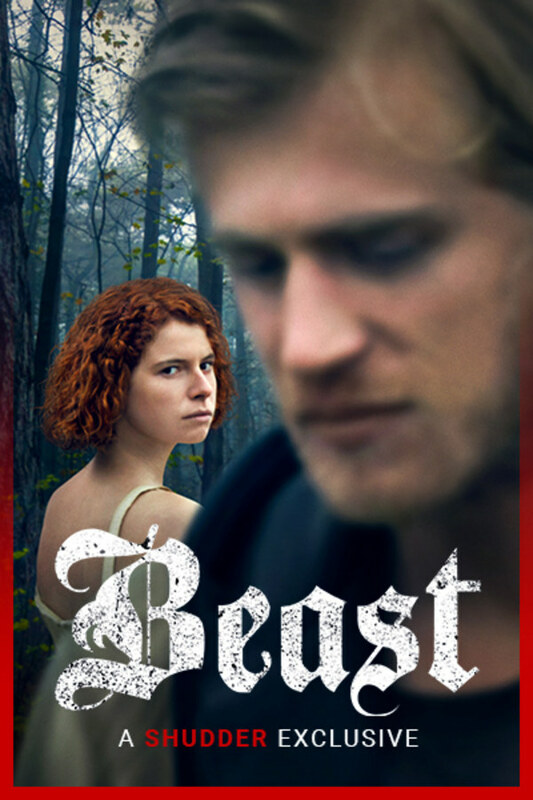 Michael Pearce's haunting, primal BEAST is a must-see love sick psychothriller. A SHUDDER EXCLUSIVE. A troubled young woman falls for a stranger suspected of murder. Awesome, more exclusives like this please. Wow! Starts out as a romantic drama about the confines of social class and social isolation, an becomes something else entirely — a cop thriller almost — and then takes a third turn toward the end. Very understated and then Shannon! Hits you like a scissor! Great ending!! I was ready to rate this a 4 until the last 10 minutes or so. Still, it's well made and acted. More a dark drama than horror. kind of dry. it had a lot of potential but it had me guessing way too much.